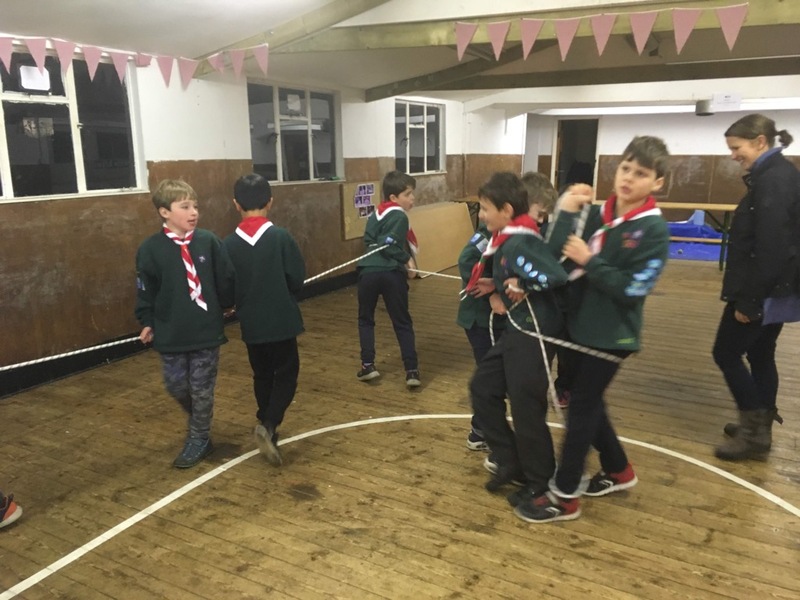 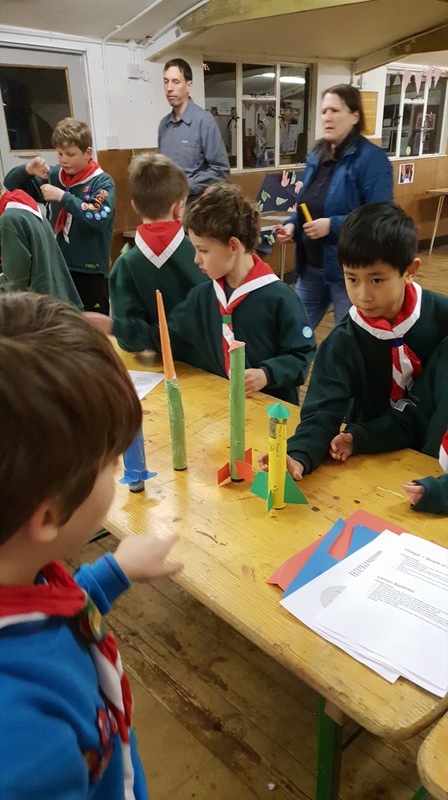 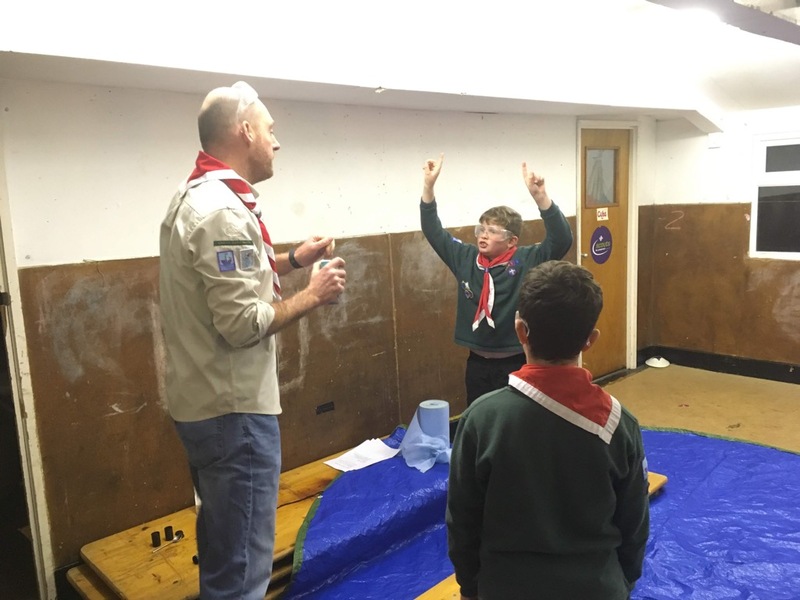 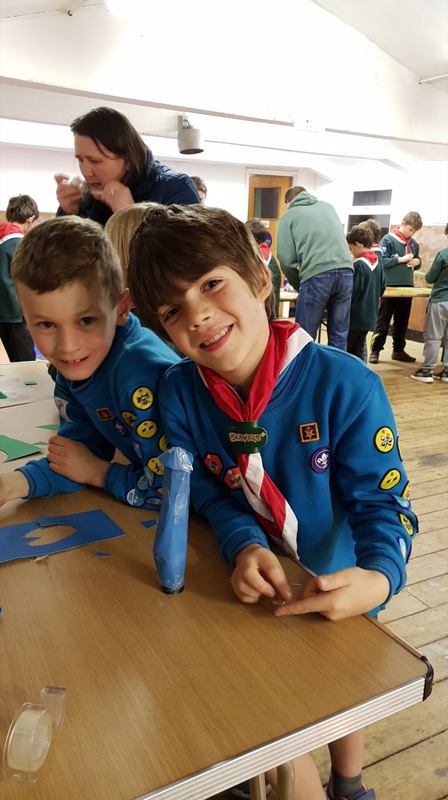 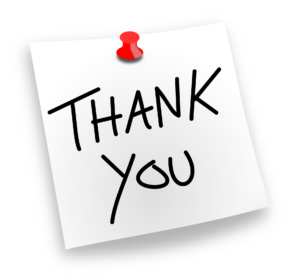 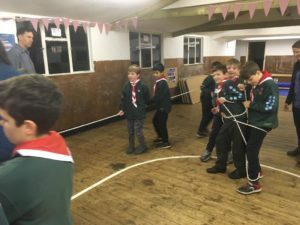 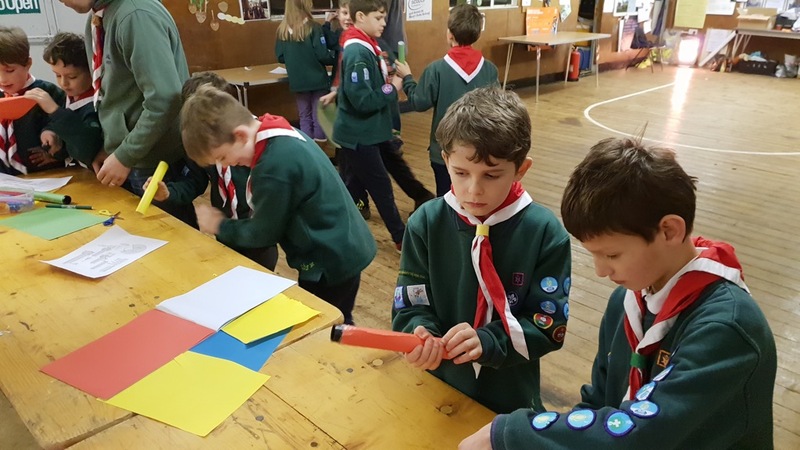 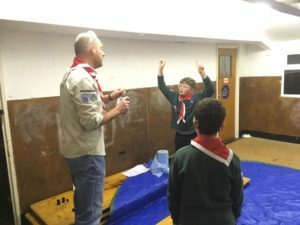 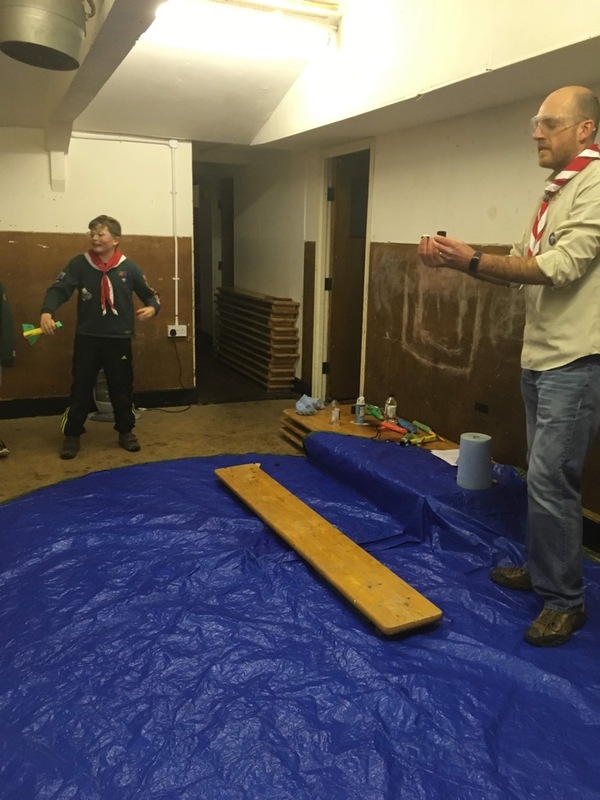 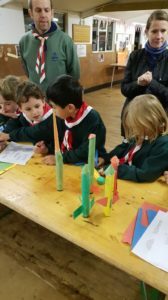 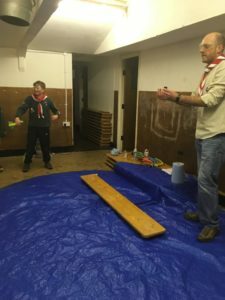 Last night, the Cubs all earned their Scientist badges after performing several experiments though out the evening and the previous weeks session, with a general theme of survival. 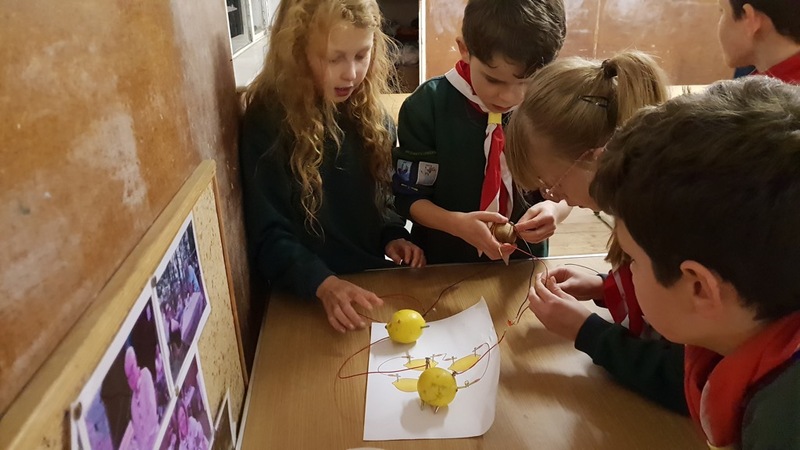 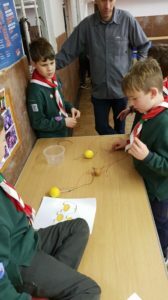 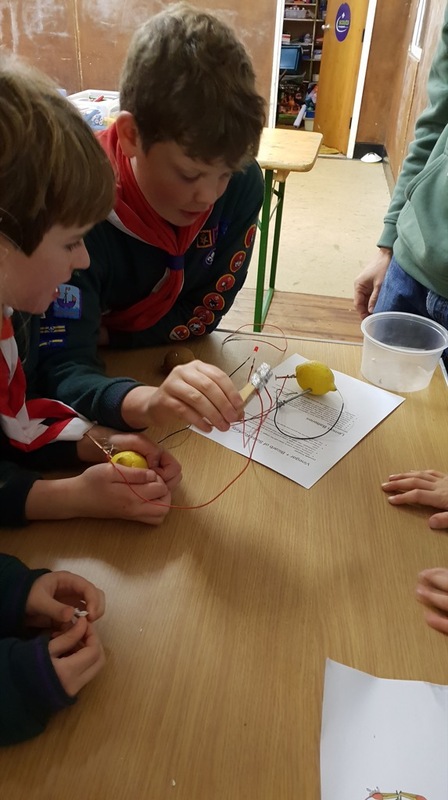 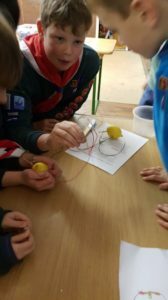 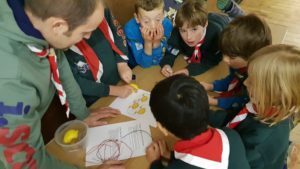 The cubs made compasses out of magnetised nails floating in water and they all made batteries out of lemons (and kiwis) to power LEDs to allow them to signal SOS in morse code. The grand finale was to make rockets (flares!) powered by vinegar and baking soda. 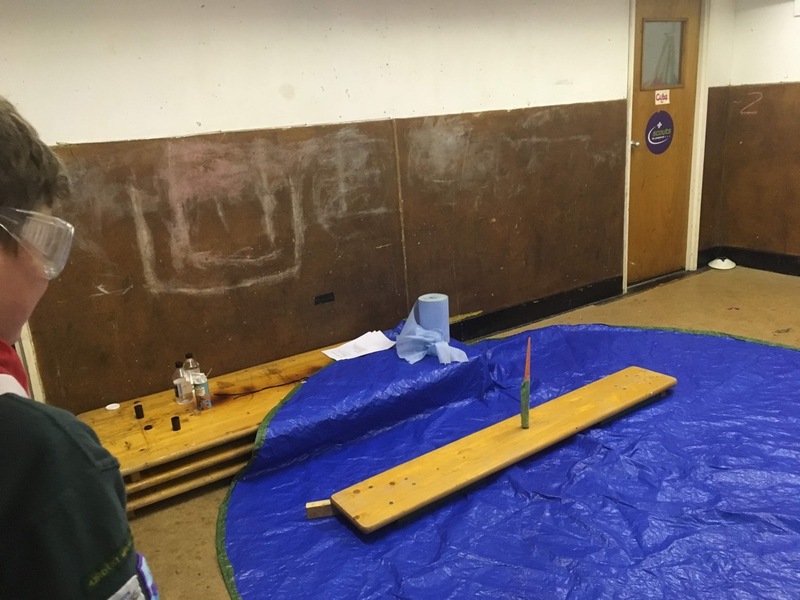 The rockets proved difficult to 'ignite', but a few managed to reach the ceiling!